Chris Elsey is a master letter designer and carver. 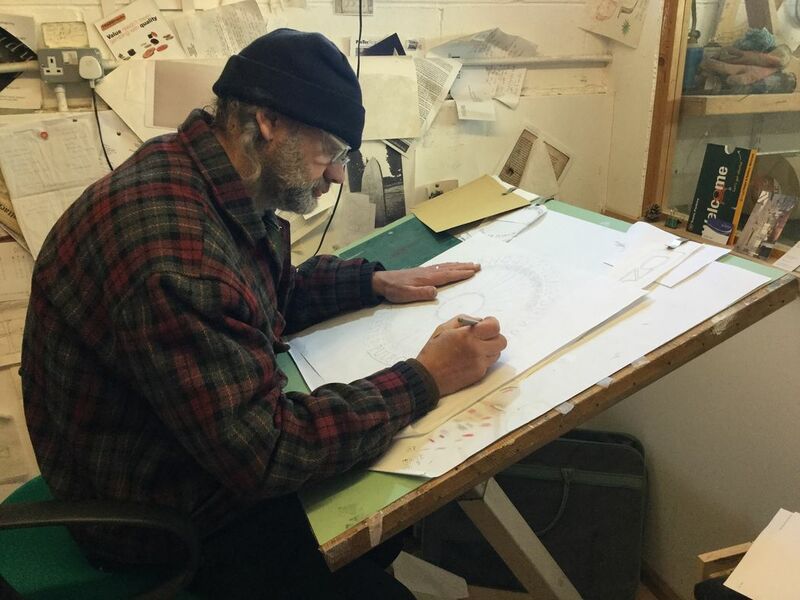 His work is in great demand for both private and public commissions and he is one of the artists affiliated to the Lettering Arts Trust. As well as working for clients, he also passes on his skills to the next generation of artists through workshops at his Sussex studio. Chris reflects here on his work as a letter carver. "My studio is in rural Sussex, surrounded by wonderful views and wildlife, a peaceful location ideal for the concentration needed for drawing and carving inscriptions. In winter, the work consists mostly of designing and drawing which keeps me near the log fire! The studio is larger than most, so I share the space with Geoff Aldred, a letter carver and stone mason, and Tom Sargeant, who joined us on a two-year apprenticeship programme, funded by the Lettering & Commemorative Arts Trust. 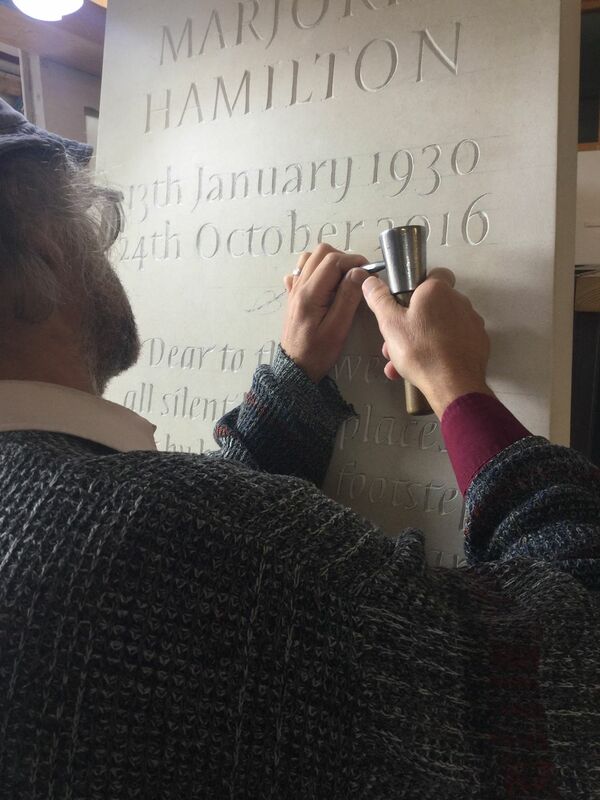 It is wonderful to continue to work with Tom now that he has set up his own letter carving business and to see his career flourishing. As well as working on our own commissions, we are firm believers in collaborative ventures. We work closely with sculptor Alyosha Moeran, whose studio is close to ours. Recently we have been working together on ideas for a large public art project based on the old Roman road of Stane Street. The arrival of swallows in April sees us working more outside, taking advantage of natural light to carve by and warmer weather. Spring means we have plenty of work to do, drawing, carving and fixing finished work on site, as well as visiting stone quarries to source material. Letter carving is a very labour intensive craft, so we are grateful when the longer days of summer arrive so that we can accomplish all that needs to be done. The autumn leaves remind us that we need to install any limestone work like headstones before the first frosts arrive. And I will be getting ready to teach in the studio this October, encouraging the next generation of letter carvers, making sure that this ancient craft remains contemporary." See Chris Elsey at work in the Artist in Residence Open Studio from 9 April to 13 April.